2. Does the GOCC disclose the activities that it has undetaken to implement the abovementioned policies? 4. Where stakeholders interests are protected by law, stakeholders should have the opportunity to obtain effective redress for violation of their rights. a. Are the audited annual financial report/statement released within 60 days upon receipt from COA? The unaudited (certified) Financial Statements (FS) for 2016 were posted in the website on June 6, 2017. The 2016 certified Financial Statements are the same as the 2016 audited Financial Statements which were received from COA on June 16, 2017.
b. Is the annual report released within 90 days from release of audited financial report? TransCo regularly prepares an annual report which contains its operational and financial highlights. Pending the receipt of the audited FS from the Commission on Auidt (COA), the certified FS serve as the financial report submitted by Transco to the regulating/monitoring bodies, other government agencies and interested stakeholders. The said certified Financial Statements are usually posted in the website as soon as finalized and submitted to COA. b. Does the GOCC disclose that all Directors/ Commissioners, senior management and employees are required to comply with the code? Circular No. 2006-0010 (TransCo Code of Conduct). TransCo Grievance Machinery. c. Does the company disclose how it implements and monitors compliance with the code of ethics or conduct? Circular No. 2006-0010 (TransCo Code of Conduct). TransCo Grievance Machinery. 14. Does the Board appoint a Nomination and Compensation / Remuneration Committee? Res. No. 2015-015. 15. Did the Nomination and Compensation/Remuneration Committee meet at least twice during the year? NRC Notice - NRC organized only on October 2015. In 2016, there were already 2 meetings. a. Does the GOCC have orientation programmes for new Directors? Orientation Program for new Directors. b. Does the GOCC have a policy that encourages Directors/Commissioners to attend on-going or continuous professional education programmes? 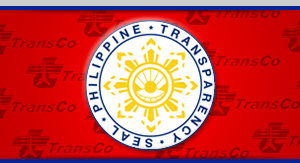 TransCo adopts GCG Memorandum Circular No. 2014-03 (3rd Issue) dated 26 October 2015, (Performance Evaluation for Directors in the GOCC Sector). TransCo Lawyer-members of the Board attend the Mandatory Continuing Legal Education training. Other members attend ICD sponsored seminar. 1. Are there members of the Board of Directors who hold more than five (5) positions in GOCCs and PLCs? 2. Is there non-compliance with Good Governance Conditions? There is no non-compliance with Good Governance Conditions as reviewed by the GCG of the completeness of required submission from TransCo for PBB FY 2015, including compliance with Good Governance Conditions specific to the GOCC Sectors. For complaints and any other concerns, please write us a message.